I love taking photos of angel statues in cemeteries. This is one of my favorite ones at Swan Point Cemetery in Providence, RI. I played with it digitally and designed this card. 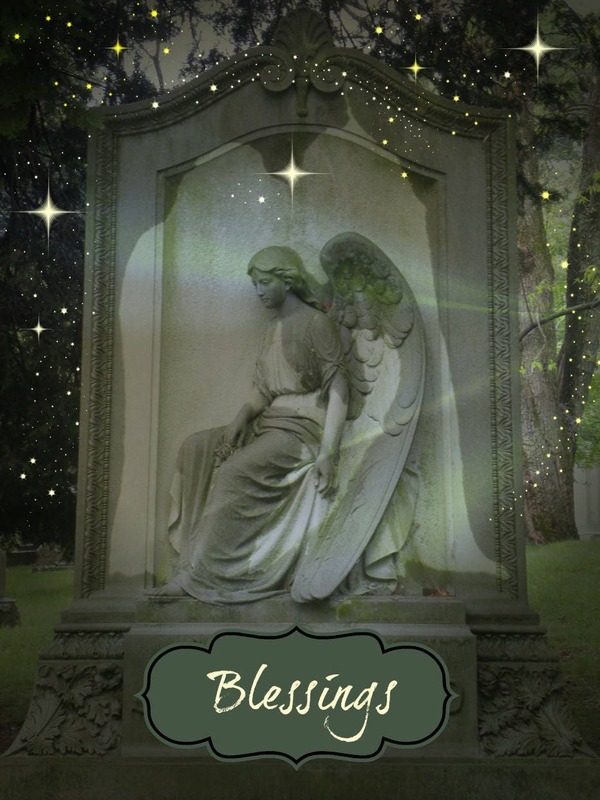 Perfect for anyone who needs a blessing right now as well as a comdolence card. The card is large, 5' x 7" and comes with a white envelope in a cello sleeve.